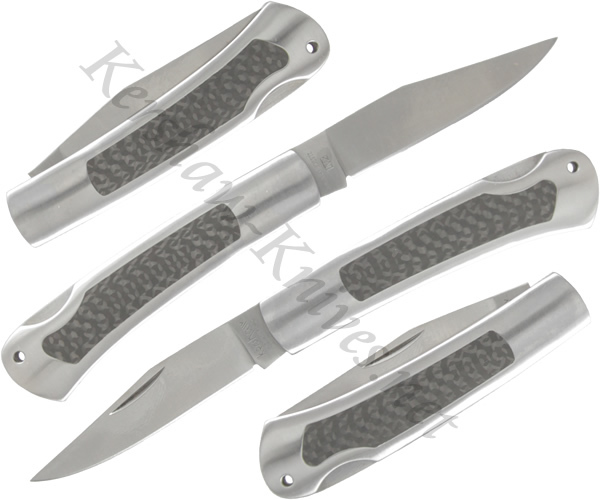 The Kershaw Indian Ford 2155CF has a high carbon AUS6A stainless steel clip point blade. There is a carbon fiber inlay in the handle that is nicely set off by the satin finish of the steel. The slim design of the handle makes it comfortable to hold. The Indian Ford opens with a nail nick and locks into place with a lockback.